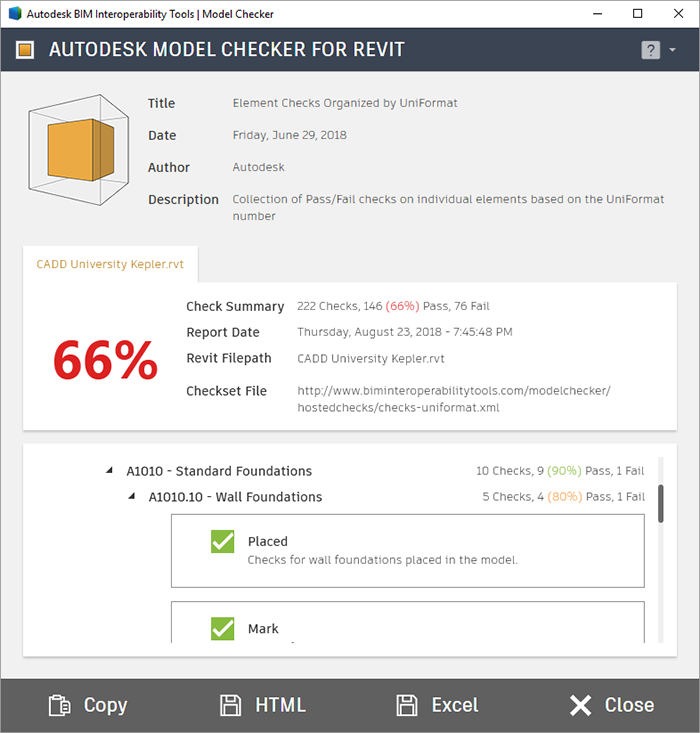 This free tool from Autodesk will allow you to make your own checksets for the Autodesk Model Checker for Revit. 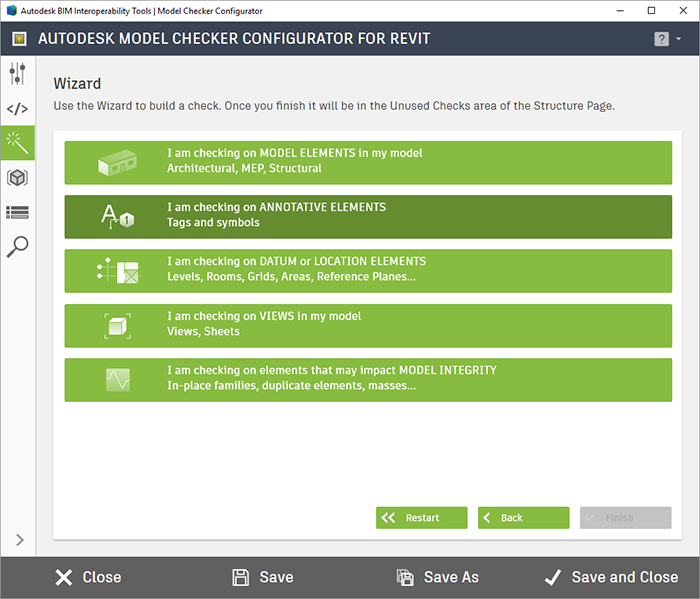 Build your own checksets for the Autodesk Model Checker for Revit. Utilize dozens of free samples to build the checks you need. A Wizard Interface helps you make checks from scratch. 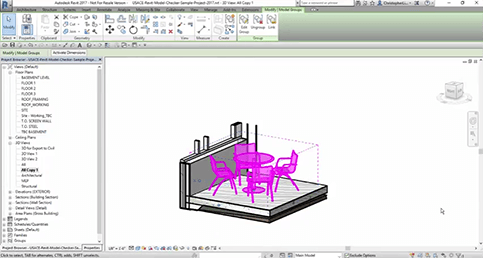 Make custom checks for BIM deliverables or Revit standards. These samples can be used to help you build your own checksets. A regular expression, or "regex," is a customized text string that can be used for describing search patterns. 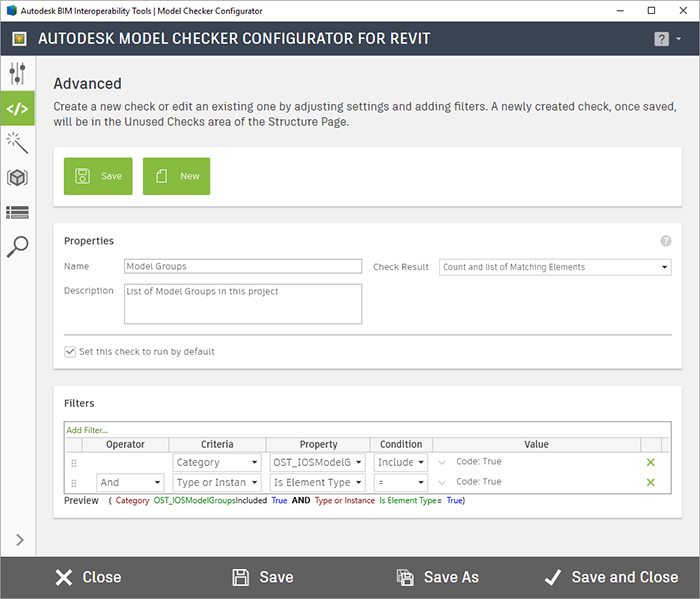 They are accepted by the Autodesk Model Checker Configurator for Revit in the "Wildcard" fields to assist in filtering the customized element or model checks. 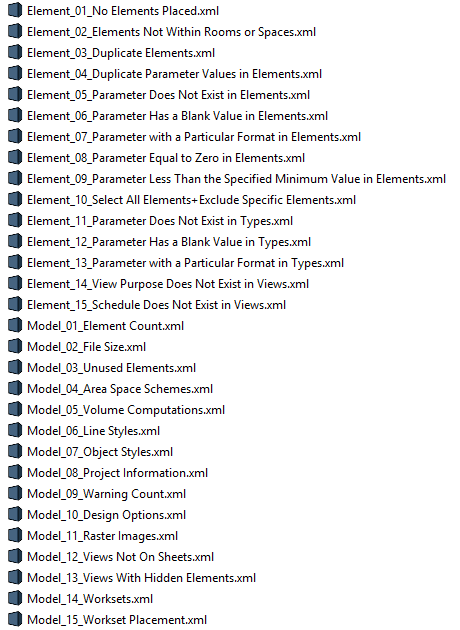 Autodesk RevitLookup is a tool that helps to interrogate the API behind Revit and the elements contained within. It allows one to access and analyze model information through a programmatic lens.